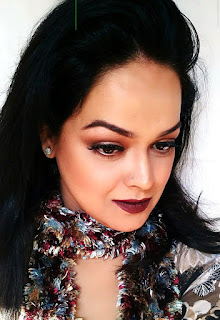 Now that Fall is just around the corner, I'm trying to use my spring stuff a bit before it gets pushed back in the stash even though I admit that this was perhaps the first year when my spring was too fall inspired (deep lip shades in summers were a strict no-no earlier...but now? Baaaahhhhhh!!!!) This summer I wore everything from bold lips to deep nails, I dunno just craved for all things bold and the consequence was..the summery stuff sat pretty waiting for its turn to be flaunted. Maybelline Color Show Nail Lacquer in Porcelain Party was one such summery beachy buy. There's something about white nail paints that reminds me of beaches and washed out denims and just for that cool breeze-feel I got myself a white nail paint after aaaaaaages...!! The texture is nothing to boast about. I didn't like it at all.You don't get nice, smooth and opaque finish even in 2-3 coats. God knows how I managed to take decent pics in which I have 3 coats plus an additional touch up one finished with a top coat. Though it dries fast, It is very streaky..Period! THIS was the reason why I gave it a shot. I have been wanting to try a China Glaze White Out/White On White, Sally Hansen White On, O.P.I Alpine Snow/Non-Stop White etc. but when I came across this in a store I though let's try a budget version just to see how white looks on me..I have no problem with the shade though but the Nail polish is disappointing. Another disappointment!! Even after putting so much effort to get a clean finish..Porcelain Party gets scratchy and dirty on the very third day. It looks so tacky that you wouldn't have it on even if it doesn't start chipping..and no my hands weren't put to much labour..still!! 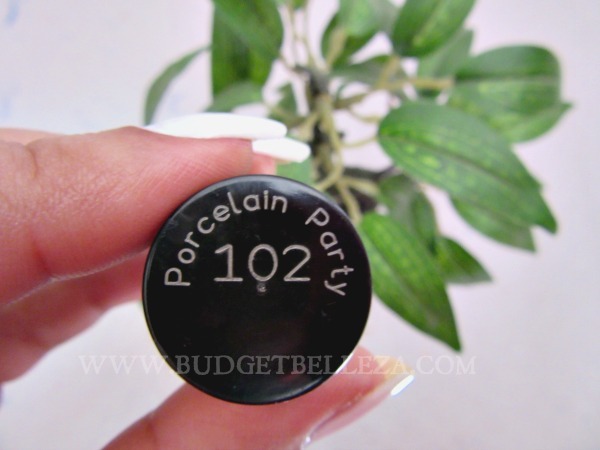 I would not recommend Maybelline Color Show Nail Lacquer in Porcelain Party even though the white is a nice white simply because of the its finish and longevity as discussed above.